The leader commands and signals GUN TO BE MOUNTED, and points to the position where the gun is to be mounted; FRONT, and points in the direction of fire; ACTION, and indicates with his fist the MK 19's direction in the chosen position. Crewmembers take the following steps to place the gun into operation. 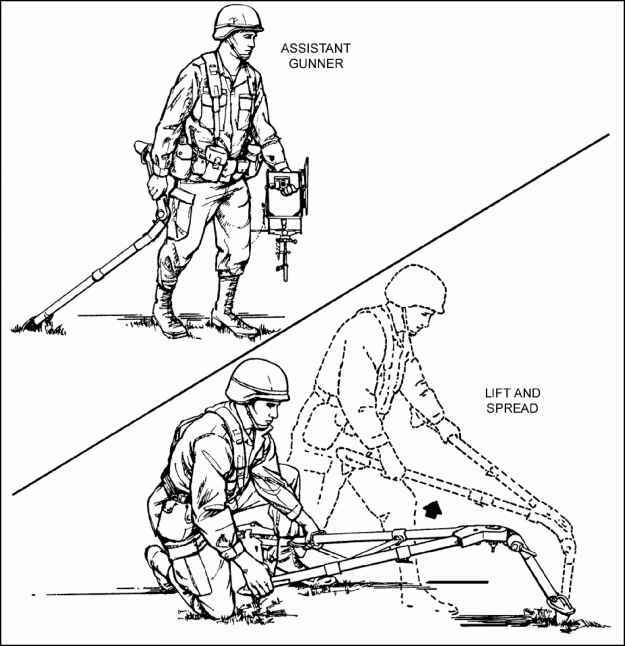 (1) Drags the tripod to the firing position by its front leg with his right hand, and carries the gun cradle with the T&E mechanism attached in his left hand. 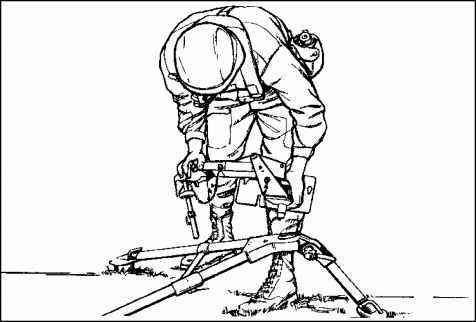 (2) When he arrives at the firing position, aligns the front tripod leg for direction and, with one quick motion, snaps the trail legs apart. This action makes the sleeve lock-latch snap in place (Figure H-2). 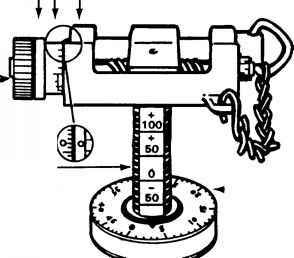 (3) Stamps each leg into the ground and secures the gun cradle to the tripod by using the pintle lock release cam (Figure H-3). (4) Secures the T&E mechanism to the tripod, by locking the traversing slide lock lever (Figure H-4). (5) Helps the gunner mount and load the MK 19. Figure H-2. Positioning the tripod.